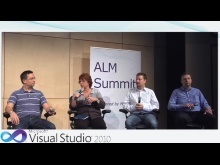 Rob Maher is a Microsoft Visual Studio ALM MVP. He is currently an Agile Development coach. He is NZ’s only Professional Scrum Master and Professional Scrum Developer Trainer with Scrum.org. With over 15 years of software development experience he has a history of leading change in large organisations. Rob has helped several large companies transition to Scrum and improve their software development lifecycle using solid ALM practices. He is a regular speaker at industry events such as Tech-Ed, Code Camp and ALM summits worldwide. Rob provides Scrum and software development training and consultancy across SE Asia, running courses in NZ, Malaysia, India, the Philippines and Singapore. Robs experience includes everything from working as a Scrum Master, coaching teams in Scrum and software development practices to helping testers master automated testing techniques.